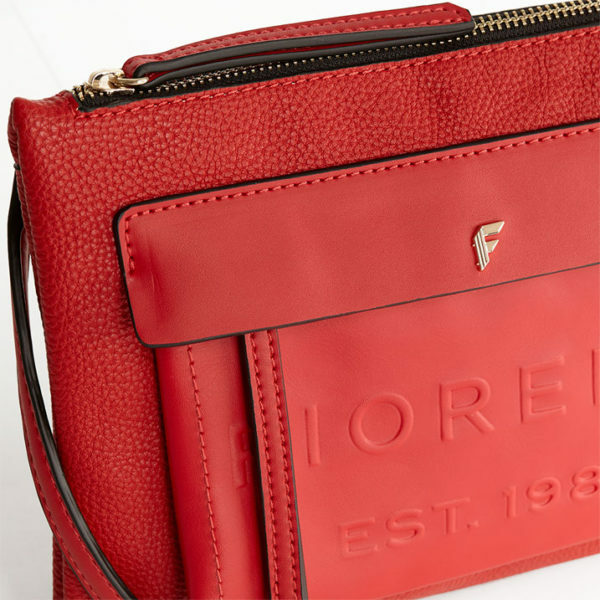 Fiorelli alexa pillarboxred across body bag the main compartment secures with a zip top fastening and opens to reveal a fully lined interior complete with a useful slip pocket for your mobile or purse. 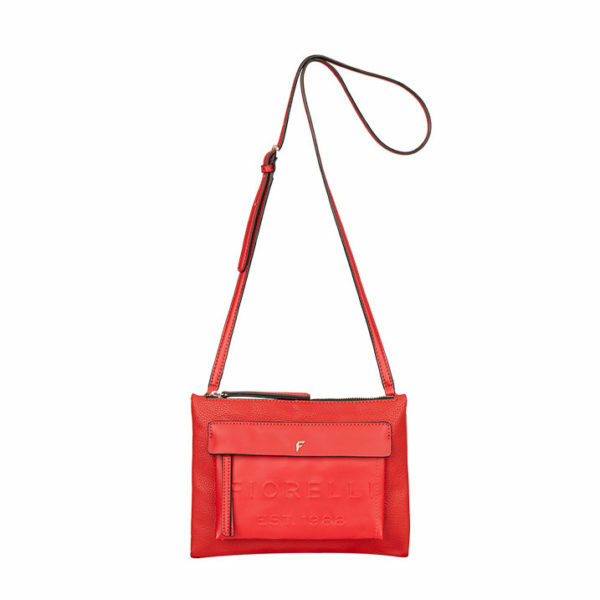 There is another pocket on the front with a zip fastening protected with a flap that is ideal for tickets and travel cards. 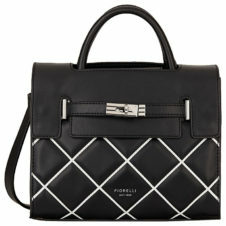 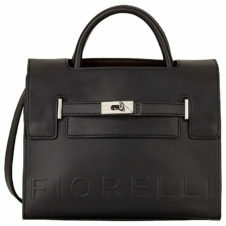 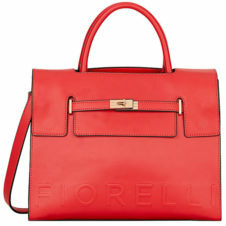 This contemporary across body handbags from Fiorelli features an adjustable strap.